Home / Iphone / Iphone 8 / Is Apple calling the iPhone 8 the Decade Edition? Those in the mobile industry are excitedly awaiting for Apple to release three new iPhone models this year, at least they expect the company to. Especially since Apple is celebrating its 10th year of manufacturing smartphones, 2017 is said to be a spectacular year for the brand. Among the iPhone models many are looking forward to include the rumored iPhone 7 LCD update, along with a new iPhone 8 smartphone. The two LCD-based models are already said to be called the iPhone 7s and the iPhone 7s Plus. As for the newer, OLED-based iPhone, there’s still no definite report on what this model will be called. 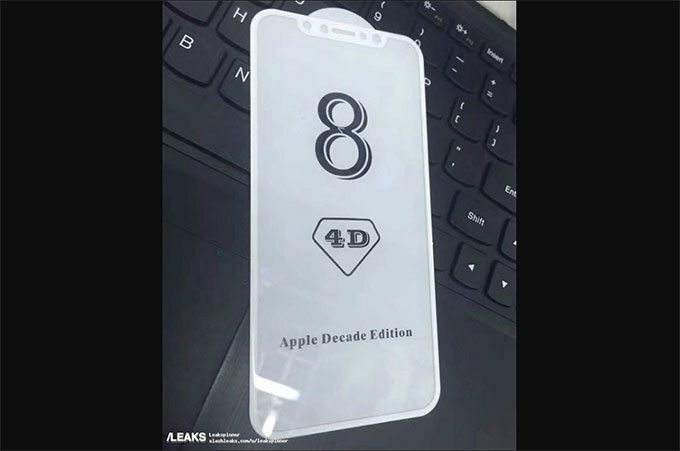 Just recently, however, an accessory vendor posted a photo of an iPhone 8 screen protector which revealed the OLED-based smartphone may be sold under a moniker called the “Decade Edition“. The image was shared by SlashLeaks. But really, this isn’t the first time the upcoming iPhone 8 was called by that name. Of course, there’s still some hesitation as to whether or not Apple will officially use that name for the iPhone 8. Not to mention, Apple wouldn’t really let an accessory maker know about its marketing plans. But then again, this could be part of it.